I'm a fan. There, I said it. 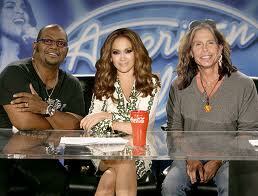 My guilty pleasure is American Idol – there, I said it. Yes, even with Simon gone. Even with Steven Tyler’s somewhat uncomfortable ogling of girls young enough to be his daughter. I put my kids to bed and often watch it while going through my emails. My husband makes fun of me. That’s okay! Steven Tyler, Randy, and Jennifer are getting the job done, and Simon…Simon Who? isn’t but an after thought. And with all the musical talent this year, one guy stands out in my mind and I can’t shake him. Or it. Call it a casualty of the industry in which I work. That transformer dude during first round of auditions? I tivo-ed the audition to show my kids, because even if he couldn’t sing, the car was crazy cool and I knew Carly and Brady would love it. This, people, is a cash cow and – Hyundai? You can thank me later. Flash forward a couple weeks to the unveiling of the new Hyundai Veloster Rally Car at Chicago’s Auto Show. It already looks like a movie star. Like Herbie the Love Bug on steroids. If Herbie were a Hyundai. On 'roids. 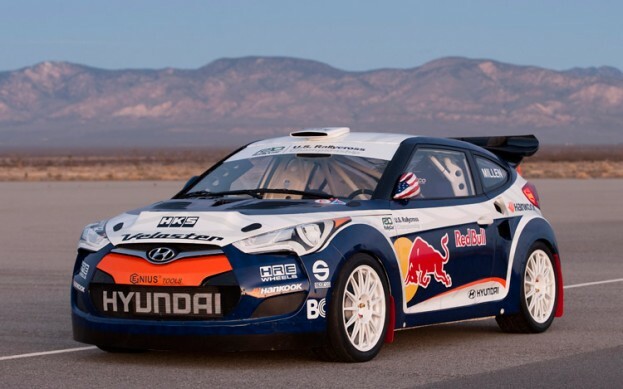 The New York Times wrote about it, explaining the modified Veloster Coupe was produced for competition only, specifically for the Hyundai team to compete in the 2011 United States Rallycross Championship, the Summer X Games and other performances. The Veloster Rally Car ups the cool factor a little bit for Hyundai, and a whole lotta bit for kids. Particularly those living in my home. And from afar, I’m wondering if I can modify it yet again into a Halloween costume for my kids? I really think it would work. Then have my kid zoom around the dealership, zipping in and out of the showroom! Without singing of course. We wouldn’t want him judged.